The concept of neural efficiency provides a powerful framework to assess the underlying mechanisms of brain dynamics during cognitive-motor performance. Electroencephalography (EEG) studies have revealed that as cognitive-motor performance improves non-essential brain processes are progressively disengaged resulting in brain dynamics leading to a state of neural efficiency. Multiple factors such as practice, genetics, mental stress, physical fitness and social interaction (team dynamics) can influence such cortical refinements positively or negatively and translate into an enhanced or deteriorated quality of performance. This paper provides a report of brain activity, assessed via fMRI, in a group of athletes who perform well under conditions of mental stress. 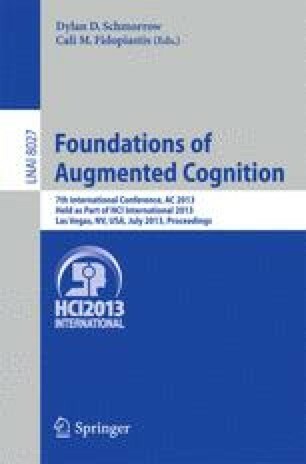 Better understanding of brain states associated with such groups can enhance the ability to detect and classify adaptive mental states and increase the possibility of employing field-friendly brain monitoring tools such as EEG in ecologically valid situations for assessment of cognitive-motor performance in challenging real-world settings.